Slightly smaller! 11 x 41 x 1/16" Maple skateboard veneer. Order as many 7-layer sets as you want, no minimum! The more you buy, the less the cost per set. You choose exactly how many boards you want to make and also choose if you want 7, 8 or 9 layers in each set. Our maple is grown in the far north of Canada, where the very long and very cold winters mean the trees grow very slowly. Tight growth rings mean denser wood veneer. Canadian-grown maple is always the best choice for making strong skateboards. FCS-certified mills rotary cut logs for us and sort to our exacting specifications. Design and build your own custom longboard using this premium 1/16” thick veneer. 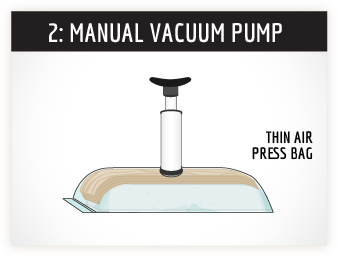 This veneer is best used in a Thin Air Press vacuum bag, which applies pressure evenly over the entire board. It eliminates the problem of voids and missed spots, a common problem with some other types of presses. Using many layers of 1/16” veneer will allow you to create fairly radical curves, which will add strength to your board. Consider the amount of flex you want to build into your new board. Experiment with using 7, 8, 9 or even more layers of veneer. Try our birch or bamboo veneer for even more options. When laying up your board, follow the rule that your cross grain sheets should always be layered closest to the middle of your stack, with one layer of core in between the 2 cross grains. We do not recommend any more than 2 cross grain sheets per board. If your work area is very dry, keep your unused veneer sealed in plastic (a garbage will do) until you are ready to use it. Q: Why the big deal about Canadian maple? A: Because the very long and very cold winters mean that the maple trees grown in the north-eastern regions of Canada grow very slowly. Slow growth is visible when looking at the tight growth rings of a cut log. Those growth rings are different than what you would see in a cut log of a maple grown in other parts of northeastern America, including the mid-west basin. Those tight growth rings indicate that the maple is much stronger than other maples. Q: What species is this maple? A: Acer Saccharum, or Sugar Maple. Other names are Rock, Hard Rock, and Hard Maple. 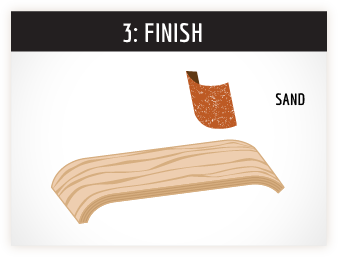 Q: How long can I store unused veneer for? A: Very important to store it laying flat and away from any heat sources. 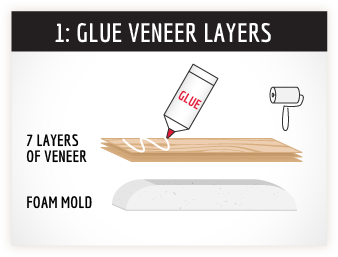 Veneer will absorb and release moisture all the time, so seal the veneer in plastic if the environment is changeable. Q: What if my veneer splits? A: Run a bead of glue along the split edges. Use masking tape strips to tightly squeeze the edges together and wait about 2 hours for the glue to dry. Remove the tape before using it. Q: What is the different between the Face, Core and Cross Band sheets? A: Face sheets are sorted as the clearest layers for the top and bottom of your board. Core sheets are the internal layers, and will have imperfections such as small knots and holes, splits, sap lines and other color variations. Cross grain sheets (also refered to as xbands, or cross bands) have the grain running in the 90˚ direction to the other long grain layers. Q: Why do I need cross grain sheets at all? A: The 2 cross grain sheets spread out the torsional resistance. When riding a board and you lean your weight on the outside edge, the cross grain layers will make the entire board flex, rather than only the edge you have pressure on. Xbands also stop the board from potentially splitting along the length of the long grain. Q: Is this Maple harvested from sustainable sources? A: The mill we source our maple and birch from complies to and is certified by the Sustainable Forestry Initiative® Program, a worldwide recognized service.